The OPTREL e3000 delivers the highest respiratory protection as well as maximum comfort which in turn makes your welding process more profitable. When encountering harsh ambient conditions with smoke dust and vapour a highly efficient powered air respiratory system is indenspensible in order to keep the welder healthy. 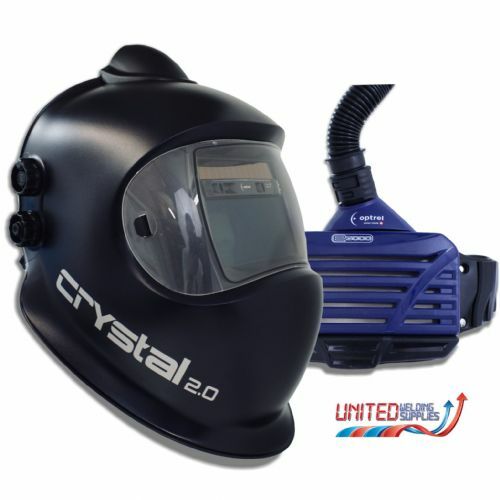 The e3000 in combination with the e600 helmets of optrel provides the highest protection class TH3P according to EN 12941 (European Standard). Email online@unitedwelding.co.uk for special offer discount code on all Optrel PAPR.